The Last Night On Earth name is spreading like wildfire, due to some hugely successful releases that have garnered worldwide acclaim. 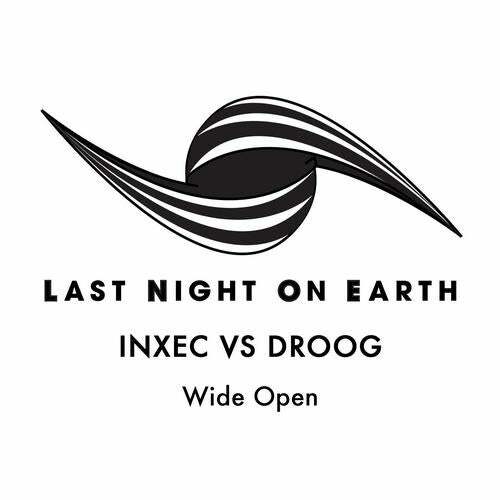 The newest release from Last Night On Earth brings together a popular pairing - known for their collaborations and combined remixes, studio partners Inxec Vs Droog present their Wide Open EP on 25th February.In their own right, this duo make up two very well established names in the house and techno community... UK born Inxec comes straight out of the Nottingham club scene and along with close friend Matt Tolfrey, has an impressive roster of releases on high class labels under his belt. Droog is the DJ collective of Andrei Osyka, Brett Griffin and Justin Sloe - the Culprit label owners have steadily built a reputation as one of the leading purveyors of forward thinking dance music, in Los Angeles and beyond with parties boasting the likes of Jamie Jones, Steve Bug, Visionquest, Nicolas Jaar and many more.This couple come together once more to create another master mix of bounce, bass, electronic and atmospheric blends with Wide Open and Mountain Drop. The two track EP is latest in a series of diverse electronic tracks with the inevitably slick Last Night On Earth touch.